It’s been a few years since B+B SmartWorx was welcomed by the Advantech family. 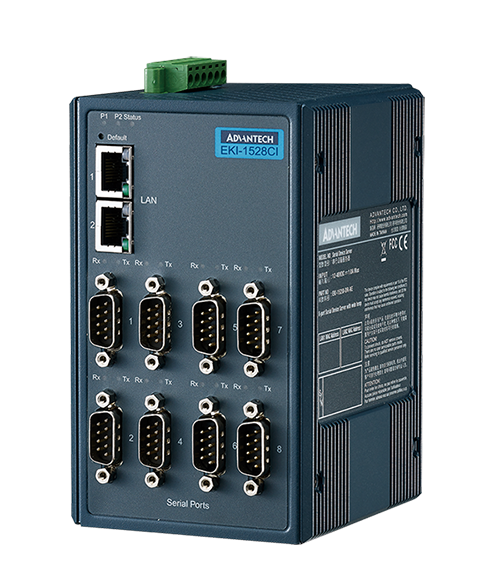 Advantech is a well-known provider of trusted and innovative products and solutions in diverse industries. As part of the Advantech family, we’ve been able to expand our offering of intelligent, industrial products as we continually strive to make sure our customers have access to the full-circle solutions they need. We’re excited to see how far we’ve come, and are even more excited to where Advantech B+B SmartWorx will go. One big change is already here. Our previously known eWorx SE Ethernet Switch models are being rebranded to the eWorx EKI Switch line. 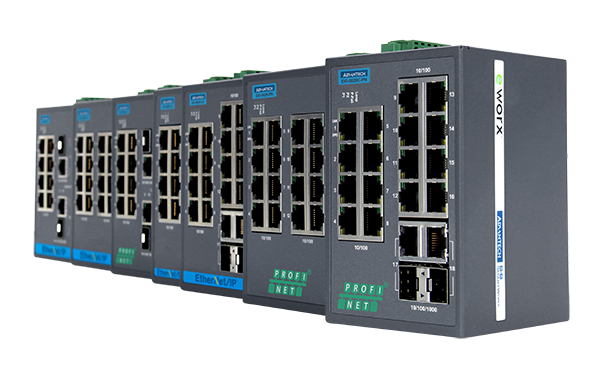 This is a simple name change to be more in line with Advantech—it will also open new doors to more innovative switches. Our name change is a boon to you! As part of this process, we still have some eWorx SE models that are the same great switches, with a different name. We’re offering significant savings on select eWorx SE models. Does your Ethernet application have specific requirements that common switches can’t meet? Our switches are made to work in harsh environment applications. Have you ever had problems, or even a lack of patience, in trying out a user interface to find the data and functionality you need in a managed switch? Also available is the ability to create multiple user accounts with differing permissions. User ID’s can be created with a wide variety of access – from simple device monitoring to full maintenance accessibility, thus ensuring security and offering flexibility for field deployment. Smart PoE Management features allow advanced PoE settings and monitoring. Comprehensive network security features such as SSH, HTTPS/SSL, TLS, TTLS, PEAP and Radius are also offered. Upgrading firmware and setting the configuration of a large number of devices is a challenging job for both IT and SI (System Integrator) professionals. To help solve for this, we’ve embedded IXM technology into managed EKI switches. IXM allows the installer to auto synchronize firmware updates and push configuration settings to either individual or groups of switches. What does this mean? No need to buy extra deployment software or to train personnel. Additionally, it will also save you time. While a 100-switch deployment may have previously taken you at least 45 minutes, you can achieve the same task through IXM in just 3.5 minutes. Are you looking for a switch that, in addition to specific management features, will last regardless of the growing demand for higher bandwidth applications or potential incoming users? The user can have the secured connection from the remote or direct-connect with switch, having the data secured. The 802.1x function provides port-based authentication to prevent unauthorized devices (clients) from gaining access to the network. With multiple account management, the user can set up the several level to access/configure the switch which allow more flexible for field implementation.